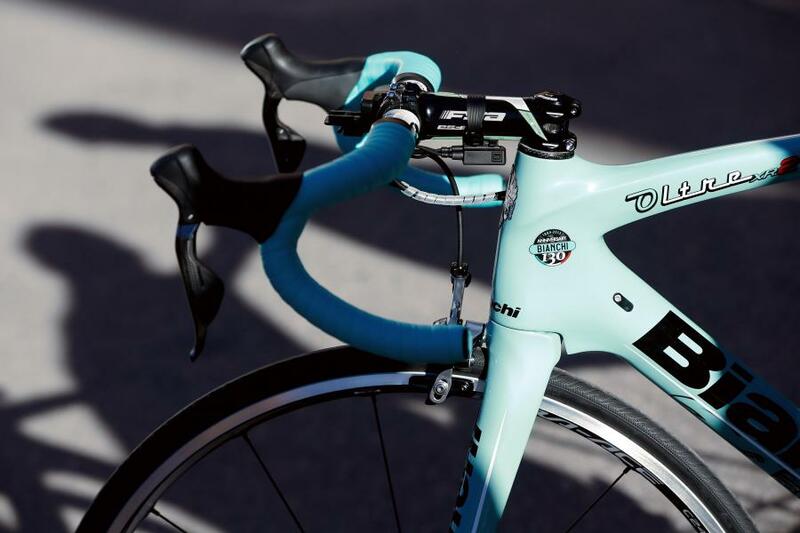 Remember Team Belkin’s Bianchi’s from the 2014 season? Well thankfully, with exit of the American sponsor from the team for next year, so go the bikes with the bizarre hybrid paint job. 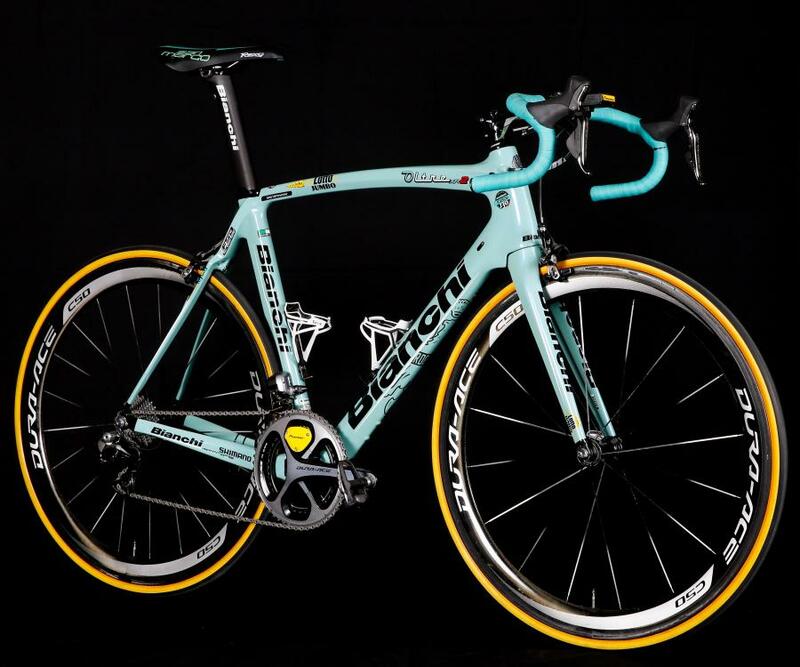 In their place, for the new Lotto.NL-Jumbo team, Bianchi have produced this Oltre XR2 (the same model as last year’s) in the iconic celeste colourscheme of the Italian bike manufacturers. The bikes will continue to feature full Shimano Dura Ace Di2 groupset, with FSA finishing kit. Shimano also provide wheel for the team, with the lead images of the new bike showing it with Dura Ace C50 wheels. The Dutch team will also run Vittoria tyres, which with the tan wall colour, add to the classic look of the bike. Lotto.NL-Jumbo revealed its new kit earlier in the off-season, moving away from the distinct green of Belkin to a predominantly yellow kit for both its cycling team and the speed skating team it sponsors. Despite the loss of leading riders like Bauke Mollema and Lars Boom for 2015 after uncertainty surrounded the team’s future earlier this year, Jumbo will look to the likes of Sep Vanmarcke in the one-day classics and Wilco Kelderman and Laurens ten Dam to head up their stage race campaigns.